The Polish Film School is one of the best film schools on the planet. It is where we got Roman Polanski from and when I was an undergrad in film school, my professor for Directing, Sound Techniques and one on one tutorials on Screenwriting that helped prepare me for my continued studies in the graduate MFA in Creative Writing program at the University was a graduate of the Polish Film School as well. Being half Polish myself, it is with great pride I post this press release. There are many revelations in the “Masterpieces of Polish Cinema” series and whether you’re familiar with some of these films or not, it’s an incredible opportunity to discover for yourself the great power of Polish cinema, on the big screen in brilliantly restored digital masters. New York, NY (January 6, 2014) – The Film Society of Lincoln Center announced today the schedule for Martin Scorsese Presents: Masterpieces of Polish Cinema, a 21-film series created and organized by Scorsese’s non-profit organization, The Film Foundation in partnership with Propaganda Foundation, DI Factory and CRF, distributed by Milestone Films in cooperation with Janus, featuring classic works from some of Poland’s most accomplished and lauded filmmakers, spanning the period from 1957–1987. Curated by Scorsese from a selection of new digital restorations, the series premieres at the Film Society, February 5-16, and will travel to 30 cities this year. Each film will be presented in brilliantly re-mastered and newly subtitled DCPs. Highlights include the Opening Night presentation of Andrzej Wajda’s Palme d’Or winner and Academy Award-nominee MAN OF IRON (1981) about the workers’ strike in Gdańsk that led to the fall of communism in Eastern Europe and Krzysztof Zanussi’s CAMOUFLAGE (1976), a comic story of a contentious relationship between a young linguist and an associate professor; Alexander Ford’s BLACK CROSS (1960), a blockbuster (and the most-viewed Polish film in history) set against a backdrop of medieval battles; Wojciech Has’s mystical film adaptation of THE SARAGOSSA MANUSCRIPT (1964), a prize-winner at the Edinburgh and San Sebastian film festivals; Andrzej Munk’s EROICA (1957), a look at the contrast in lives between that of a street-wise bon-vivant and those of righteous Polish officers incarcerated in a German camp during WWII; and Zanussi’s 70s philosophical essay on film incorporating animation, experimental techniques and documentary footage, THE ILLUMINATION (1972). Other notable films include Jerzy Kawalerowicz’s MOTHER JOAN OF THE ANGELS (1960), NIGHT TRAIN (1959), PHARAOH (1965), Krzysztof Kieslowski’s BLIND CHANCE (1981) and A SHORT FILM ABOUT KILLING (1987), Wajda’s ASHES AND DIAMONDS (1958), INNOCENT SORCERERS (1960), THE PROMISED LAND (1974) and THE WEDDING (1972), and Zanussi’s THE CONSTANT FACTOR (1980). The genesis of Martin Scorsese Presents: Masterpieces of Polish Cinema began in December 2011 when Scorsese received an honorary doctoral degree from The Polish National Film, Television, and Theatre School in Łódź, Poland. 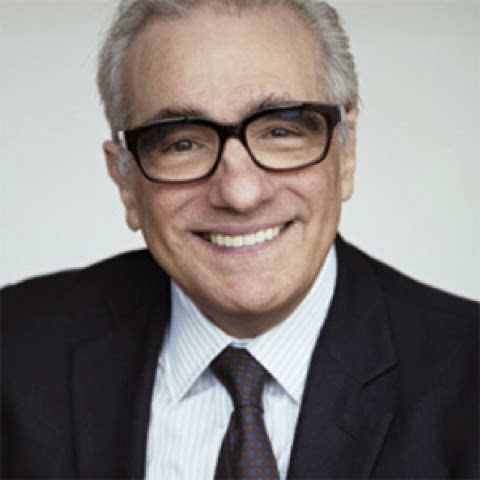 While there Scorsese met with the Polish organizer of the series, Jędrzej Sabliński—a digital restoration expert now with DI Factory, which provides data processing to motion picture studios and filmmakers. They both discussed the progress of digital film restoration in Poland and how The Film Foundation could help. In the months following his visit, the idea of a North American tour of a series of restored Polish classics came together, with 21 titles selected by Scorsese from the list of digitally restored films. The Film Foundation executive director Margaret Bodde worked with Sabliński to develop the program and recommended Milestone Film as the North American distributor for the series. The shallowness and cynicism of the academic milieu and the hypocrisy of idealism are depicted in the relationship between a young linguist and a diabolical associate professor. A universal story by one of the renowned contemporary Polish directors. Wednesday, February 5 at 6:00PM – Krzysztof Zanussi will attend the screening. Wajda’s Palme d’Or-winning, Oscar®-nominated masterpiece follows the workers’ strike in Gdańsk in August 1980 that led to the formation of the Solidarity trade union. At the end of WWII, a young Polish resistance soldier reaches a crossroads when Nazi rule is replaced by a communist regime that is not what he and his compatriots have been fighting for. In this historical blockbuster, the tragic love of Zbyszko and Danusia plays out amidst the Polish-German conflict that lead to the battle of Grunwald. Kieślowski explores the autonomy of human choices by presenting three alternative versions of the life of 20-year old Witek, whose whole future depends on whether he can catch a train. A young man who dreams of climbing the Himalayas finds himself compromising his ideals when he takes a job at an international trade company in Zanussi’s award-winning Cannes hit. Munk contrasts the absurd life of a street-wise bon-vivant with a somber picture of righteous Polish officers incarcerated in a German camp in his ambiguous two-part wartime symphony. One of the most interesting works of 1970s Polish cinema. A young provincial man comes to the capital to study physics and must tackle life’s universal questions in this philosophical essay comprising animation, experimental methods and documentary footage. A man and a woman who cannot communicate meet on an empty beach in this subtle tale of a confrontation of two lonely people from which a true closeness cannot result. The film was awarded the Grand Prix in Venice for documentary and short films, as well as the Grand Prix of the EXPO in Brussels and the First Prize of MFF in London. A subtle game of emotions between two travelers—changing from mutual aversion to closeness without hope of a future—plays out amidst the human microcosm of a night train. This epic production, complete with huge battle scenes and stunningly choreographed musical pieces, focuses on a young Ramses XIII as he takes over rule of the ancient Egyptian empire. The paths of three men—a cabbie, a lawyer, and a killer—cross on a somber March day in this psychological and ethical study of murder that launched Kieślowski’s international career. As Neil Armstrong lands on the moon, two young Poles kept out of university by communist quotas discover love and life in a big city, dreaming of an independence they cannot enjoy.